More than 1,000 midwives, students and other health professionals flocked to the Harrogate International Centre for this year’s Royal College of Midwives (RCM) conference on 19 and 20 October. Our antenatal and newborn (ANNB) screening stand proved very popular with students and professionals. It was a great opportunity to promote screening. 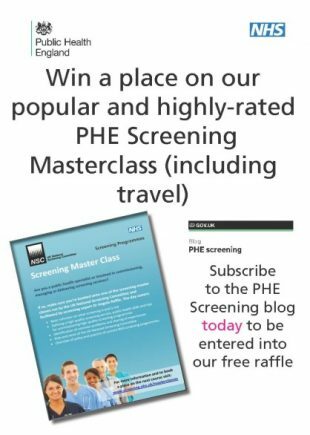 More than 100 delegates signed up to our PHE Screening blog posts to ensure they stay up to date with developments in all the national programmes. Nadia Permalloo, head of quality assurance development for the Screening Quality Assurance Service (SQAS), joined the national ANNB programme lead and managers to run a workshop entitled ‘What’s new in the national screening programmes?’ It was a fun, interactive ‘Question Time’ style session as the team wanted to be more creative than the usual PowerPoint presentations. This year’s conference theme ‘Safety, Standards, Experience’ fitted so well with what we are doing in PHE Screening as we were able to link it in with developing national standards to improve patient safety. We also used a real life case study to share lessons learned from screening safety incidents. All this learning contributes to making sure women’s experience of antenatal and newborn screening is a positive one. One of the highlights of the workshop for me was seeing ‘light bulbs’ go on around the room as the case study was shared. Real life stories really do bring work to life. 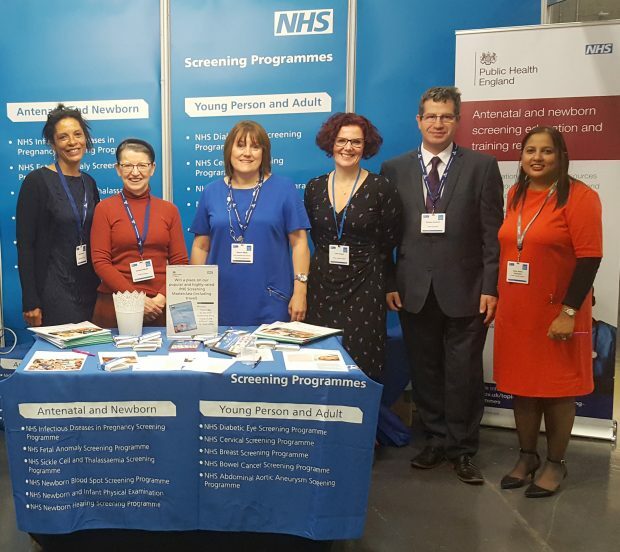 At the PHE Screening stand we handed out packs that included up to date flyers on the work of all 6 programmes, the screening timeline and updates on the UK National Screening Committee (UK NSC), SQAS, the young person and adult screening programmes and education and training resources. The highly sought-after ANNB resource card keyrings were also eagerly snapped up by midwives visiting our stand. However, the main attraction was the raffle (right) to win a place on our popular and highly-rated PHE Screening Masterclass. The winner was Janine Isherwood from East Lancashire Hospital NHS Trust. Well done Janine. Hope you enjoy the course. For those of you who didn’t make it to the conference, or those of you who simply want more information, all our resources are available on GOV.UK and the screening CPD site. We’re already thinking of more exciting, interactive ways to bring screening to life for delegates at next year’s RCM conference. Remember, the PHE Screening blog is the main way to keep up to date with all the important news and development from the NHS Screening Programmes and UK NSC.